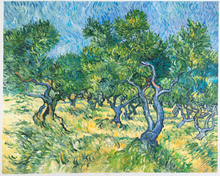 The ancient forms of olive trees curl with the surrounding swirls of vivid grass and sky. 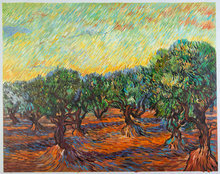 The entrancing dynamism of the brushstrokes and colours express a spiritual dimension to the natural world. 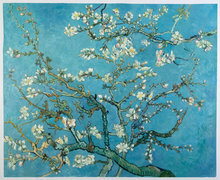 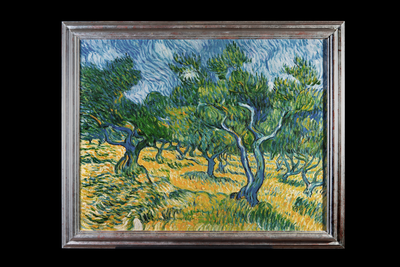 Elevate your interior décor with a Van Gogh reproduction by World famous (ex)forger Geert Jan Jansen. 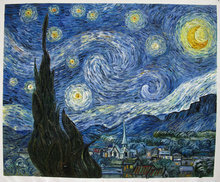 Nobody is more qualified to paint the closest thing to an original Van Gogh for your home.